The NGT was hearing a petition, filed by the Kaushambi Apartments Residents’ Welfare Association (KARWA) in August 2018, which contended that sewer water from seven drains was flowing into the stormwater drains in the locality. Ghaziabad, Metro Rail News: The Uttar Pradesh pollution control board (UPPCB) on Monday told the National Green Tribunal (NGT) that it has levied a fine of Rs 1 lakh on the Delhi Metro Rail Corporation (DMRC) as five restaurants at Kaushambi Metro station run by the agency were allegedly discharging untreated water into the stormwater drains of Kaushambi. The green court was hearing a petition, filed by the Kaushambi Apartments Residents’ Welfare Association (KARWA) in August 2018, which contended that sewer water from seven drains was flowing into the stormwater drains in the locality. DMRC sources, however, said UPPCB had tweeted about the issue, tagging DMRC’s officials Twitter account on December 20, 2018. Reacting to this, the complaint cell forwarded the complaint to the DMRC’s property development cell and they started taking corrective measures by ensuring that sewage is treated before dumped in a drain. Sources in the DMRC said the agency decided to connect the food court’s sewage pipe directly to corporation’s line and also paid a certain amount to the corporation for the purpose. They added that the legal department did not receive the UPPCB’s notice but it was received by the property development cell only on January 14. The DMRC sources said they have not received any written communication regarding the fine. “Once orders are available we shall take suitable action,” said DMRC spokesperson. Meanwhile, the Ghaziabad municipal corporation, during inspection, carried out a survey of seven drains in Kaushambi. These include drains from Jaipuria apartment to hotel Samrat, Udaygiri apartment to Panchmadhi apartment, Sumeru apartment to Malaygiri apartment, Dabur to Wave cinema, Kaushambi’s Central Park to Wave cinema, Nanda tower to Shivalik tower and Shivalik tower to Kamadgiri apartment. 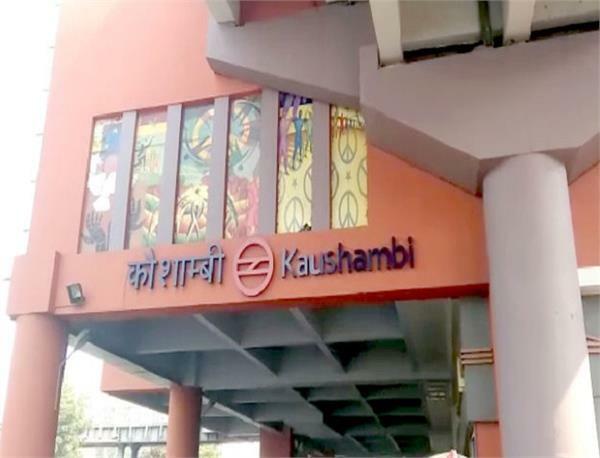 The inspection report stated that waste water from the septic tanks and washing of cars, etc at the five restaurants in Kaushambi Metro station was flowing into the drain. This, the corporation said, needs to be corrected by the DMRC. The report also stated that untreated water from a toilet was flowing into the drain leading from Shivalik tower to Kamadgiri apartment. This, they stated is to be corrected by Ghaziabad development authority. “After the petition and directions by NGT, the agencies started work and the issues with storm water drains will be resolved in couple of months. The UPPCB fined the DMRC but did not fine GDA,” said VK Mittal, president of KARWA.